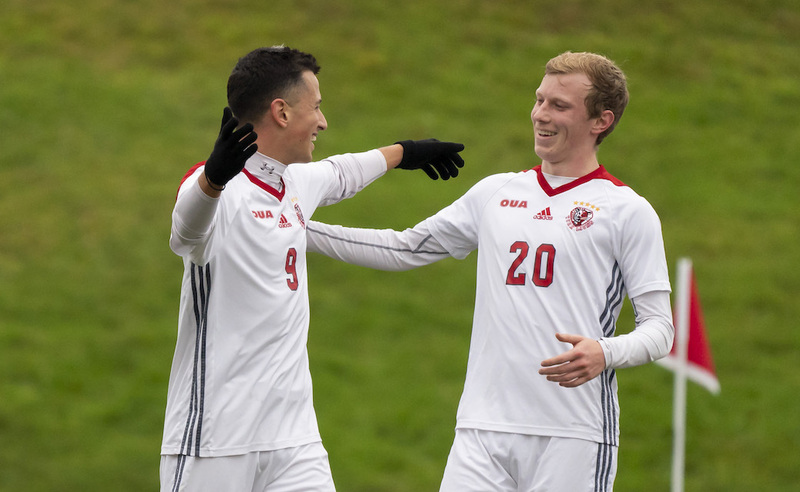 A first-half marker from forward Christopher Jacovou served as the only scoring on Friday morning, as the York Lions moved past the consolation semifinals in the U SPORTS Men’s Soccer Championship, upending the University of New Brunswick Reds 1-0. 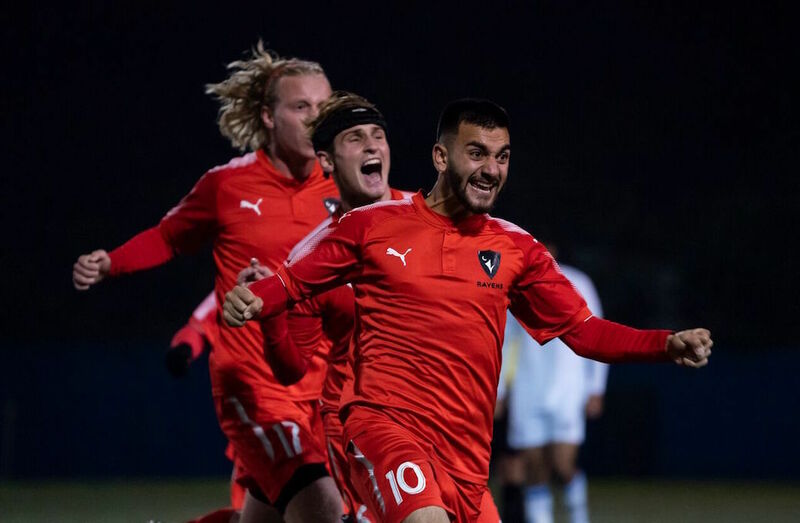 Cristian Cavallini, following his two-goal effort in yesterday’s quarterfinal match against Trinity Western, nearly opened the scoring for the Lions at the 11-minute mark. From 16 yards out, the forward found himself with a bit of room in a dangerous area, unleashing a bullet and forcing UNB goalie Evan Barker to make the save. The Lions were inches away at 19 minutes, as a terrific through ball from rookie midfielder Agostino Principato found Jacovou in alone. The fourth-year forward slotted the ball home to no avail, as he was called just offside. Tristan Nkoghe, the reigning AUS Rookie of the Year, nearly set up Dan Walker for UNB’s best chance of the opening stanza. Twenty-eight minutes in, Nkoghe did well to corral the loose ball of a free kick, deftly picking out Walker in space. The veteran's one-touch attempt curled just over the bar. M⚽️ // Congratulations to the Players of the Game from the first @USPORTSca consolation semifinal! It took a terrific combination from Cavallini and Jacovou to finally draw first blood for York. With Jacovou breaking in on goal, Cavallini found him with a looping pass over the head of a defender. Jacovou then flashed his finishing abilities, volleying an attempt over the head of Barker to open the scoring. The second stanza saw neither side generate much in the way of pressure, with UNB’s best chance coming in the 88th minute. Running onto a long arcing cross, Walker got his head a chance from in tight, only to be stopped by York’s Shyon Gaeeni. The Reds’ last-ditch attempt came on a stoppage time corner kick, and though Walker got his head on the ball from Mario Maldonado, the attempt went harmlessly out of bounds. “It’s important to represent the school well, to represent ourselves well as individuals and I thought we did okay,” assessed Isacco. York will now take on the winners of UBC and UQAM in Friday’s other consolation semifinal (1:30 pm PT/4:30 pm ET) for fifth place on Saturday, with kickoff set for 4:30 pm ET/1:30 pm PT.